 Guildhouse has been quietly working behind some of South Australia’s most successful creative professionals since 1966. 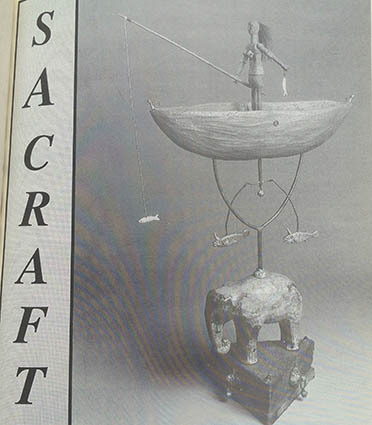 Started as the Craft Association of South Australia with a view to promote South Australian craft to the public, the organisation has grown over the decades to include visual artists, craftspeople and designers working across a wide range of media among its membership. Guildhouse’s long history includes the delivery of professional development opportunities, special projects, mentorships and collaborations. We’ve developed innovative projects and collaborated with some of the most significant institutions in the South Australia to raise the level of contemporary craft, design and visual art in this state. We look forward to celebrating our milestone in 2016 with an exhibition of our members’ works held in the collection of the Art Gallery of South Australia. 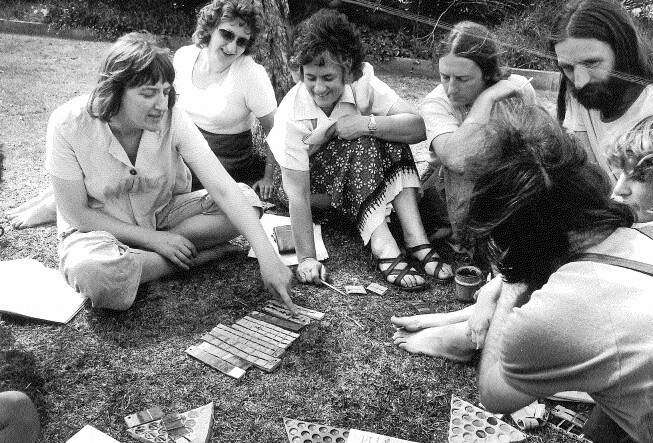 Our archive is full of information about the great members, projects and events that have been a part of Guildhouse’s history and throughout 2016 we’ll share some of them with you here. 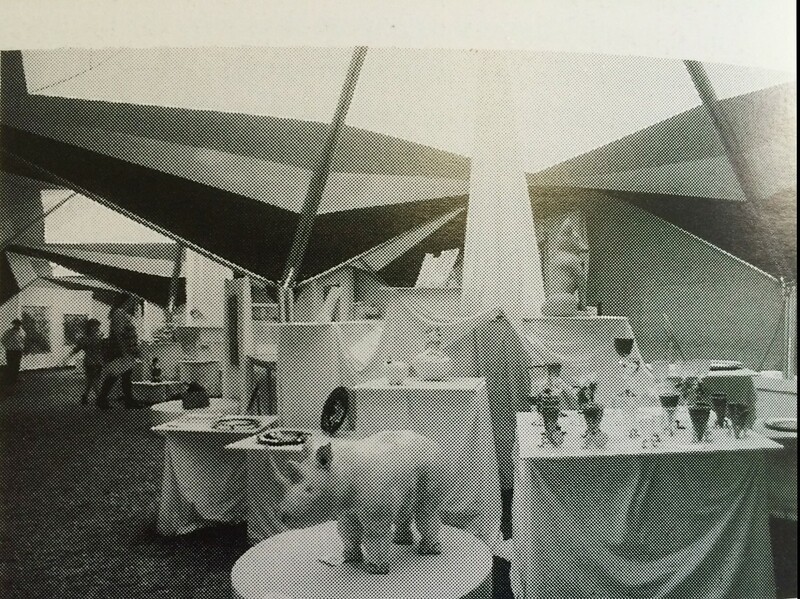 1989: Our Makers’ Choice project commenced in 1985 and was held again in 1987 and 1989. 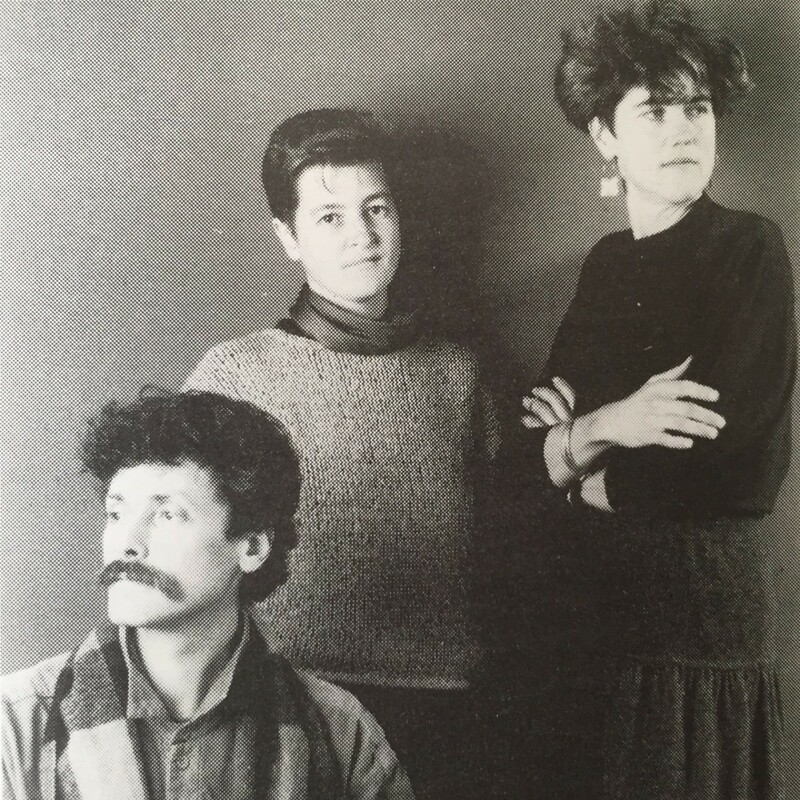 In that year Catherine Truman, Kay Lawrence and Bruce Nuske selected 12 artists’ work to curate and exhibit alongside their own work. The exhibition from this project toured nationally throughout 1990 visiting 12 locations across Australia. 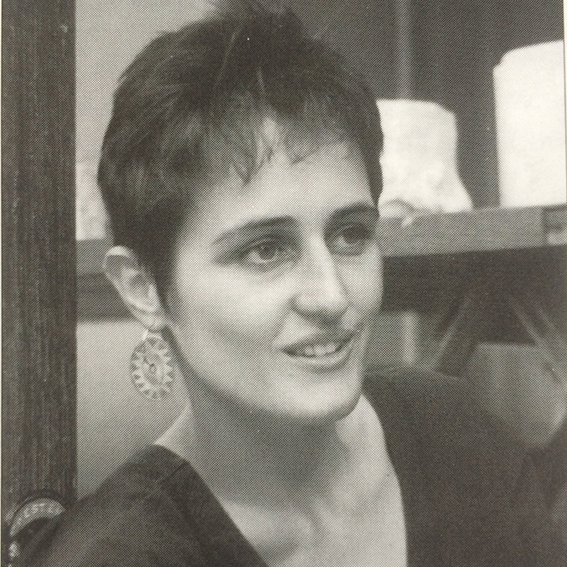 1982: Ceramics artist Jan Twyerould established her studio in Stepney, Adelaide in 1982. 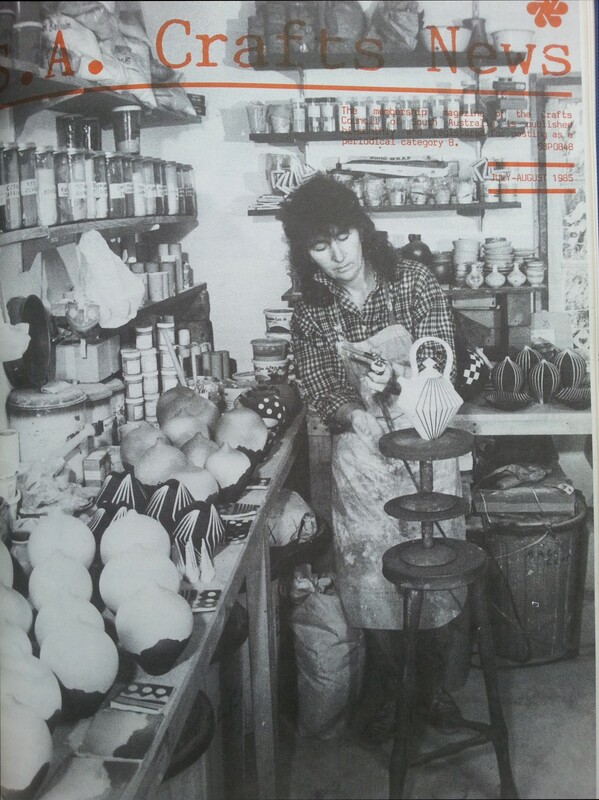 Here she is in 1985 on the cover of SA Crafts News. Who knows how much work has come out of that studio since that time? 1985: Reflecting on our 50 years we can not forget Martin Corbin, a long time member of Guildhouse who passed away late last year. 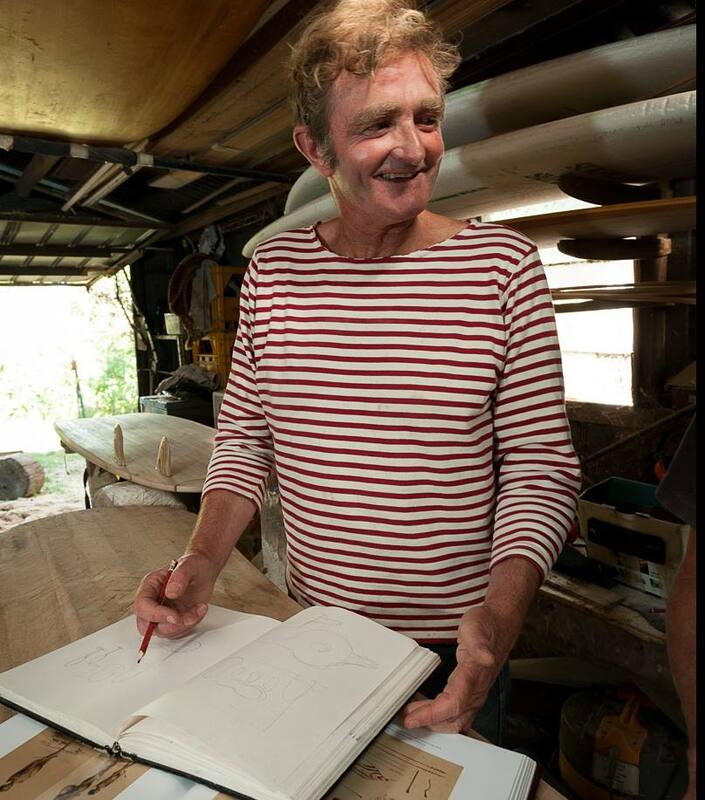 Martin started as a woodworker who produced thousands of spoons and paperknives before progressing his practice into sculpture, using material with significant embodied histories. 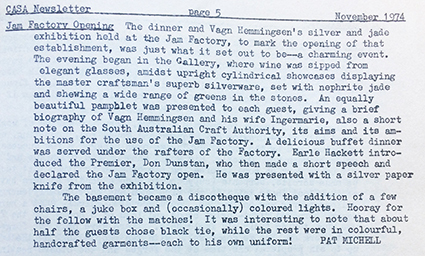 In a 1991 interview Martin said the first sales of his work were at the 1982 Craft Council’s Festival of Craft and his first exhibition was in the Crafts Council’s foyer. Photograph Russell Millard. 2014: Deborah Prior participated in The Collections Project undertaking research into our colonial history, in particular the role of string, yarn and sheep, at the South Australian Museum. On 9 April 2015 with a flock of followers, Deborah walked from the South Australian Museum to ArtPod where she completed a series of performances to accompany the exhibition of her work. At the end of March Deborah will travel to Rome for three months after being awarded the Helpmann Academy British School at Rome Residence for 2016. 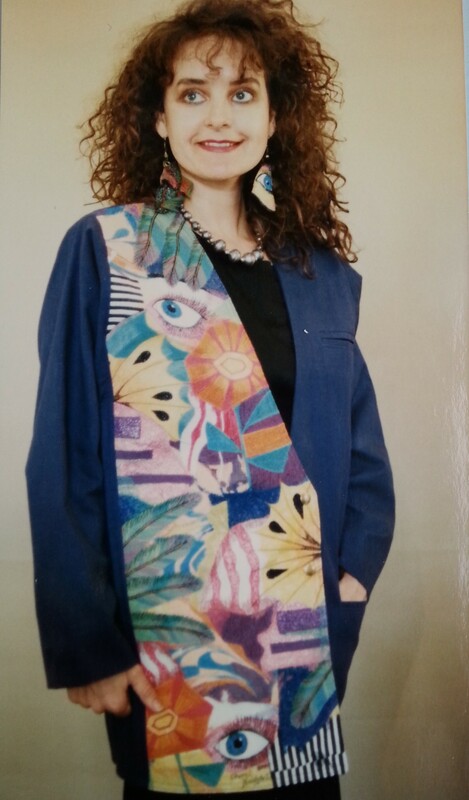 1989: Long-time Guildhouse member Cheryl Bridgart, textiles artist, produces wearable art with free machine embroidery. 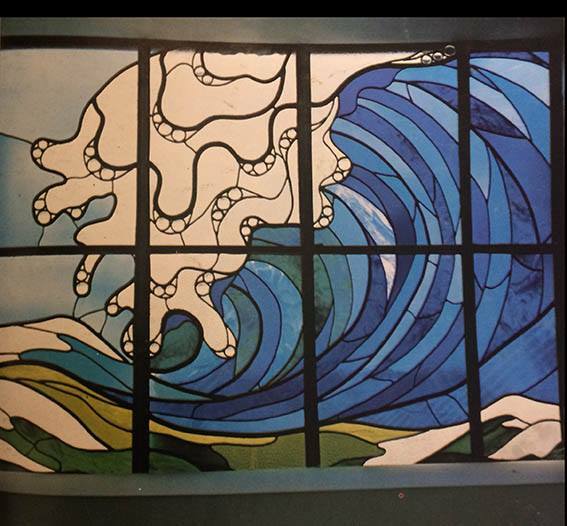 Her technique enables her to draw with her sewing machine which she’s been doing full time for nearly thirty years. 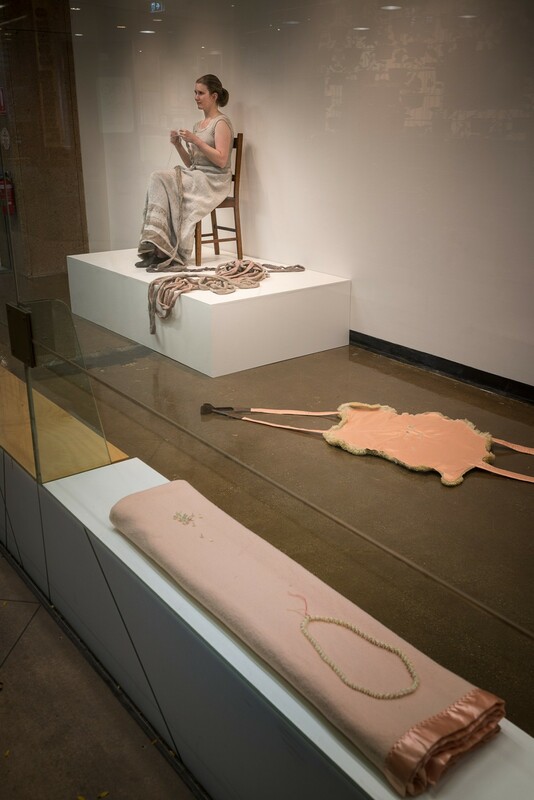 She has produced countless garments during this time and exhibited and demonstrated her practice both nationally and internationally. This piece “Images of Australia” featuring images of birds, tropical fish, leaves and insects was shown in Himeji, Japan in 1989 as part of Adelaide Week that year. 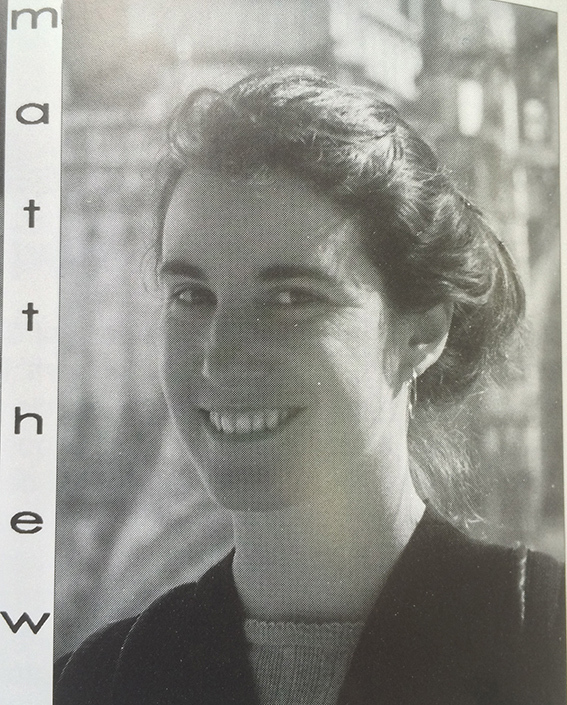 1993: Noah’s Art was a collaborative project we undertook with the Adelaide Zoological Gardens. The exhibition featured the work of 43 of our members and was opened by Harry Butler. One of the most enduring and recognisable outcomes of this exhibition is Sylvio Apponyi’s Granite Seal, which was purchased by an anonymous patron and donated to the zoo where it has been installed and loved by all. Photograph Michael Kluvanek. 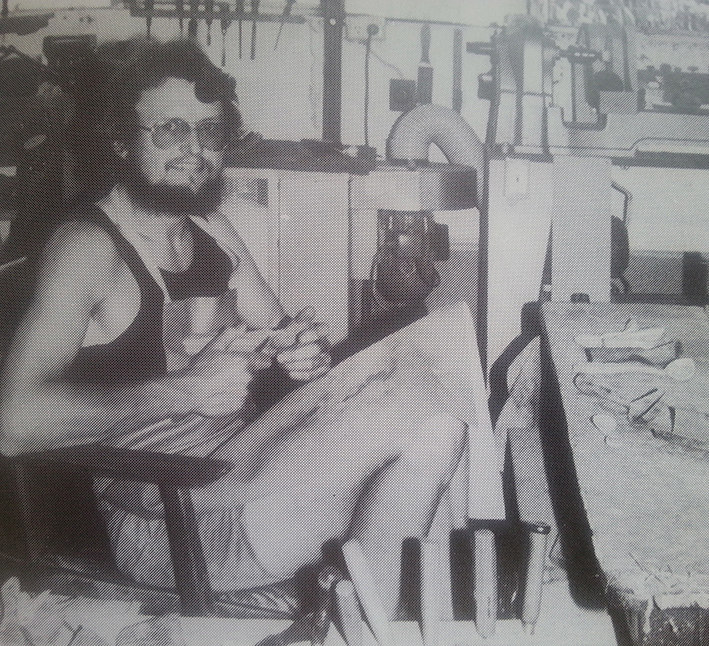 1997: In 1997 the Crafts Council of South Australia announced that jeweller Leslie Matthews was elected to its board. While no longer a board member her connection with Guildhouse has endured and in May she headed to Shanghai to teach a beginner’s jewellery course at San W Gallery/Studio as part of Guildhouse’s ongoing partnership with San W.
1997: Glass artist Clare Belfrage returned to Adelaide after two years in Perth, to lecture in Glass Studies at the University of South Australia. Clare joined our Board that year to “learn how organisations tick”. Almost twenty years later her practice has gone from strength to strength and this year Clare was announced as the inaugural winner of the JamFactory Contemporary Craft and Design‘s FUSE Glass Prize. 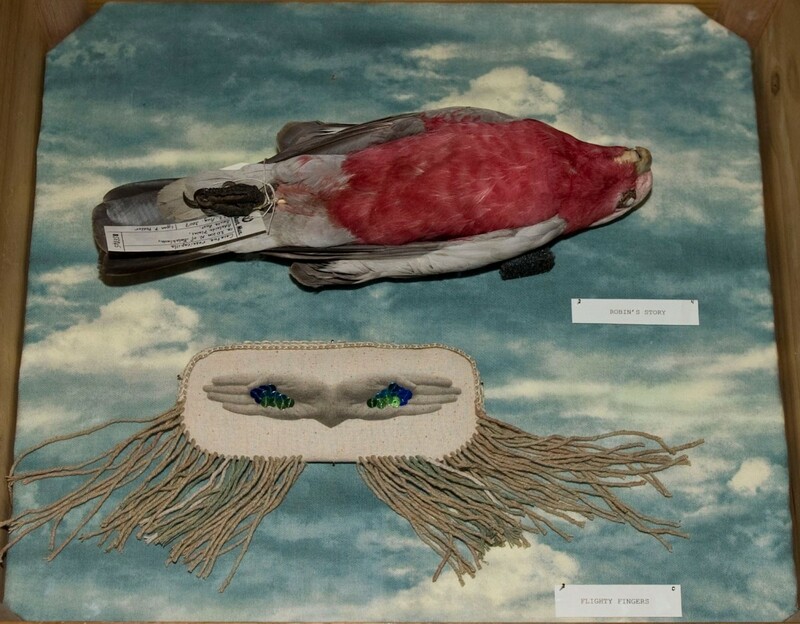 2010: Annalise Rees researched the Mawson Collection at the South Australian Museum for our Inside SAM’s Place collaboration with the South Australian Museum. 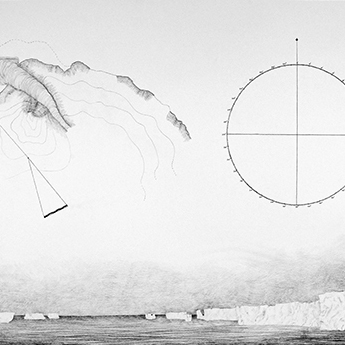 ‘From My House to Antarctica’ explored South Australia’s historical and geographical connections to Antarctica, a place Rees was very conscious of as a child growing up on the south coast of Kangaroo Island. Rees has continued to explore themes of place and identity, remoteness and exploration in her practice, from her current base in Tasmania. Photograph: Richard Humphrys. 2015: Raymond Zada’s work “Off The Grid” was developed after the artist explored the collection of History SA. 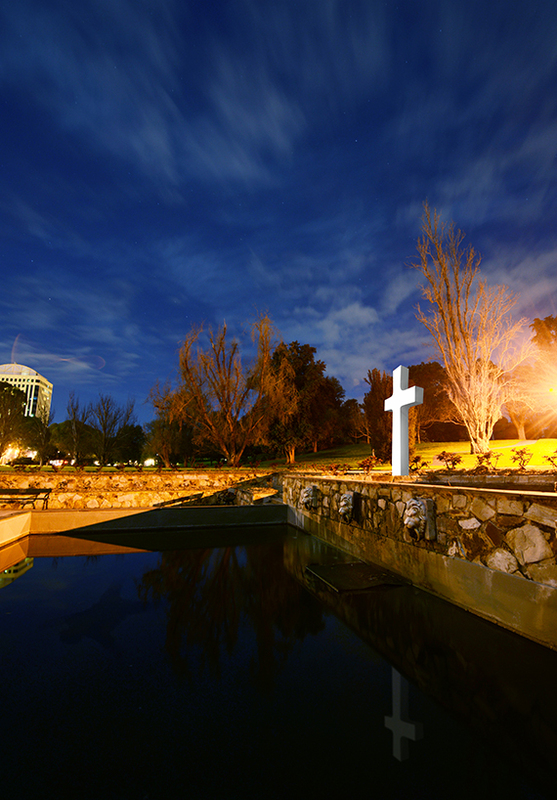 It references Colonel William Light’s 1837 survey and plan for Adelaide, examining the surrounding parklands as both meeting place and refuge. 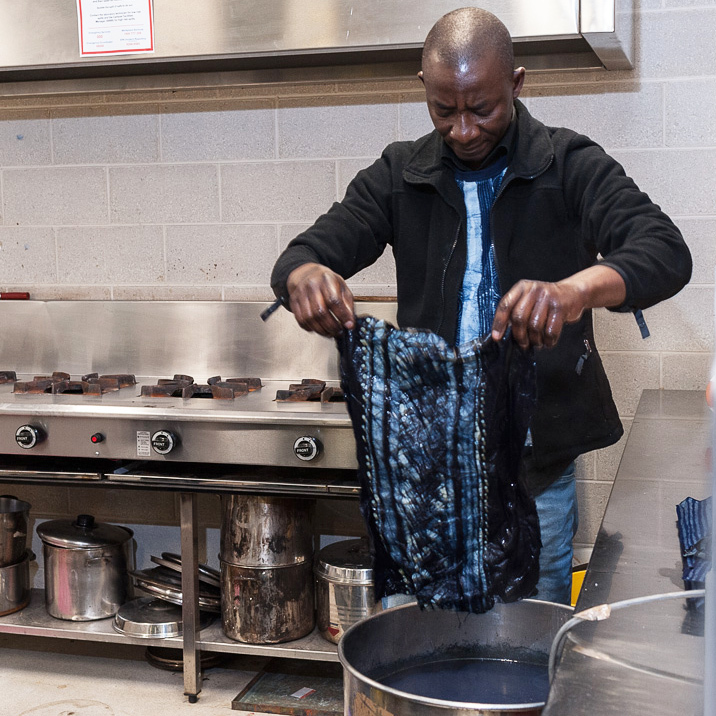 The new work produced by Zada was exhibited as part of TARNANTHI at the Art Gallery of South Australia​ in late 2015. 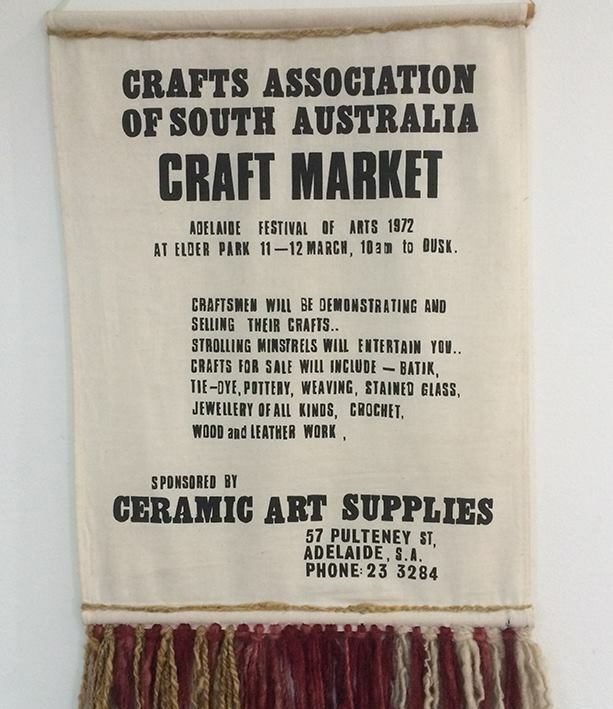 1972: 100 craftspeople participated in the CASA Adelaide Festival of Arts Crafts Market, which included demonstrations in leather, pottery, printmaking, spinning wheel and loom work. This banner from the event still hangs in our office today. 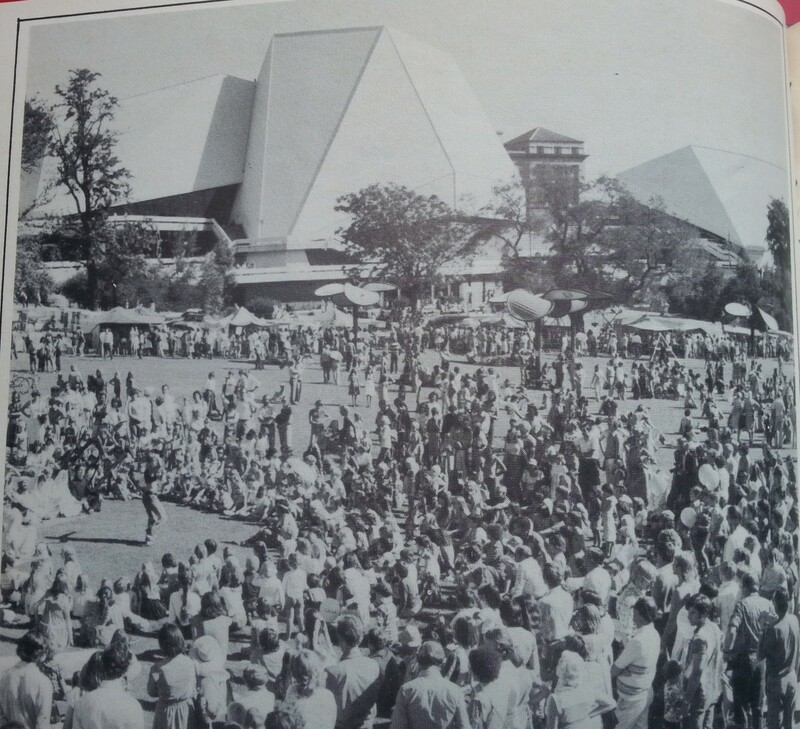 The market was hailed an enormous success by participants, the public, the Festival of Arts Director and the police who requested that the event be held every 3 – 6 months because “this kind of thing was the best way they have ever know to keep the public absorbed”. Go makers! 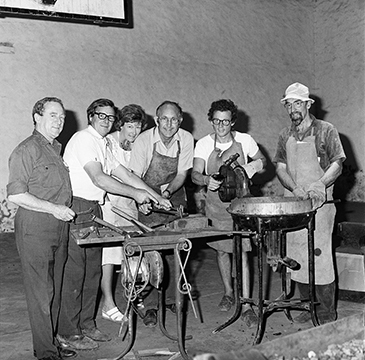 1978: Tatachilla Crafts Assocation of South Australia summer school included art-smithing with Rick Howard (second from left). A report on the class says five “enthusiastic thumpers” drew “complaints from potters and adjacent leather bods that the peace was destroyed”. But the thumpers heated billy tea and coffee on the forge for their neighbours to make amends, while proceeding to gain new skills in black-smithing from Howard. A cup of tea fixes everything! 2009: Annabelle Collett curated Revealing Meaning in Cloth for us as part of City of Prospect​’s third Design Biennial. 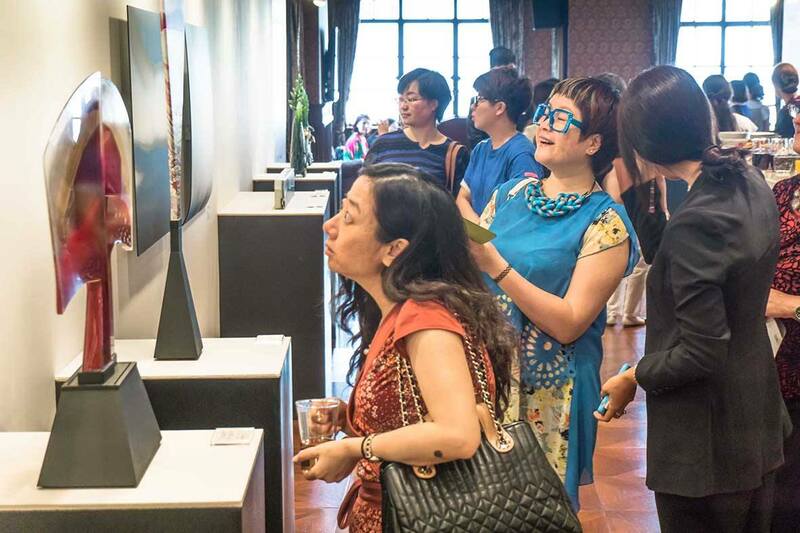 The exhibition explored meaning within textile arts and featured work by 12 contemporary textile artists. 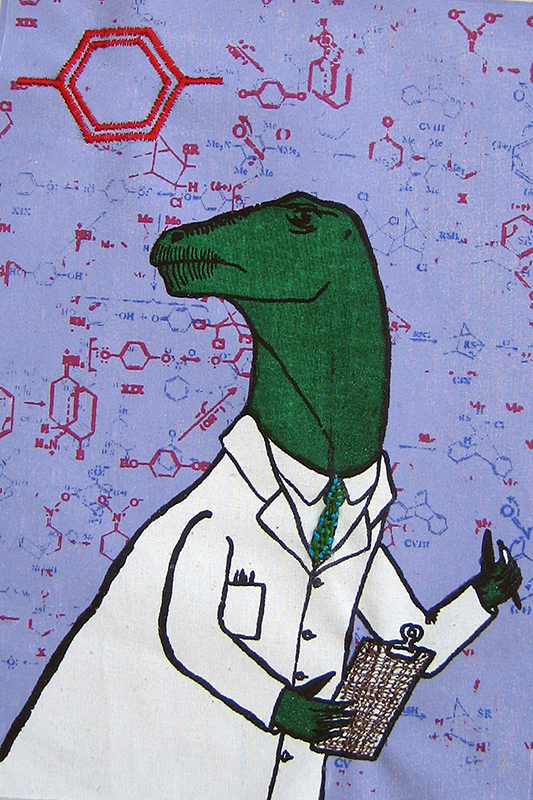 Shown here: Rosie Hannam ‘The Scientist’.